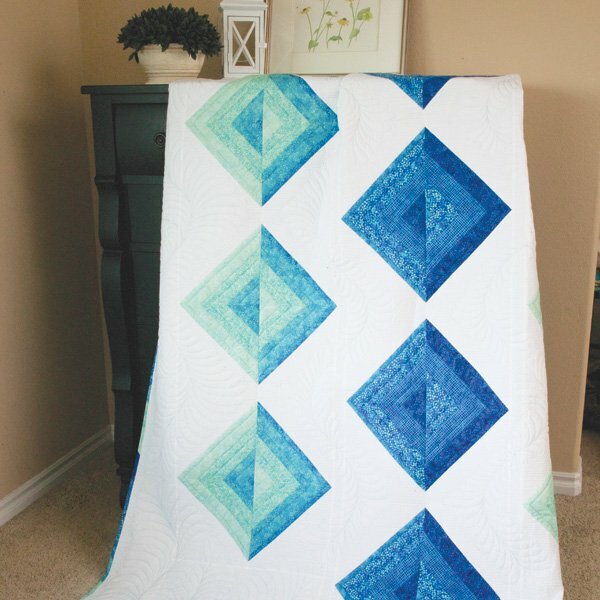 "For this quilt, I wanted to do something easy, since it is McCall’s Quick Quilts, so the STRIP-R fabric from the Ambience collection made this quilt super easy. I also wanted to make something that was kind of modern – I joined a modern quilt guild recently, and it has me rethinking the style of quilts that I make. With this in mind, I included a lot of background (negative space). "This quilt, surprisingly, uses only 2 fabrics: the white background and the STRIP-R fabric. What is a STRIP-R? It is a fabric with twenty-one 2” wide lengthwise strips across the width. 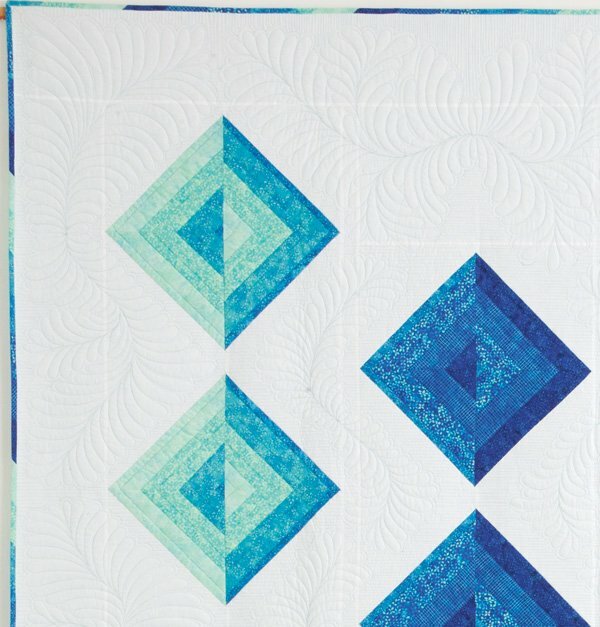 I pitched the idea of this fabric design to Northcott’s Creative Director Deborah Edwards, and, happily, she was able to bring my idea to fruition, including them in a large selection of current and upcoming Northcott collections."